Belizean football superstar Deon McCaulay has been drafted to play with an international football team in Europe. According to the Belmopan Bandits FC, the Belizean football club that McCaulay plays on, he left the country today Wednesday December 11th enroute to Athens, Greece. 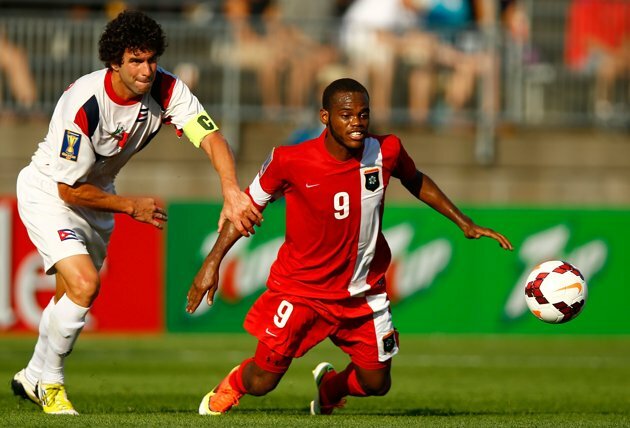 The 26 year old McCaulay is the forward player for the Belize National Football team and scored the first goal in the World Cup Qualifier worldwide. 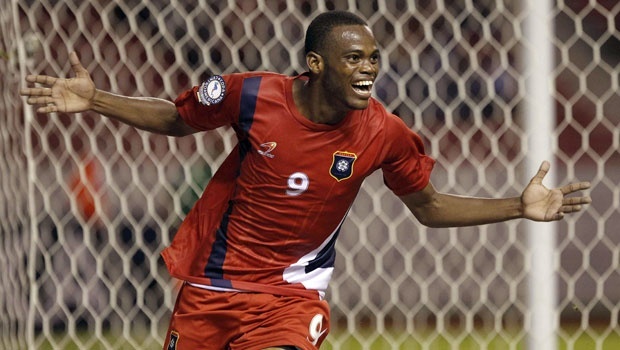 He held on as one of the top World Cup Qualifier striker having scored 13 goals for Belize. McCaulay is expected to sign a contract with Ael Kallonis Football Club, in Greece later this week. “Deon has been a great asset to the Belmopan Bandits FC and he will be missed, however, we are extremely pleased and proud to see his football career take off in a positive direction. We wish him well. Make Belize proud,” said a statement from Belmopan Bandits on their facebook page. Ael Kallonis Football Club is s a Greek football club based in Mytilene, Lesbos and is in the Superleague Greece. They are one of the top teams and in the 2012/2013 football season, finished at 3rd place. Since being established in 1994, they have won five championships in Superleague Greece. In February 2013 McCaulay had a trial with the Portland Timbers of Major League Soccer in USA but was unsuccessful. The San Pedro Sun joins the country and the Football Federation of Belize in congratulating McCaulay.